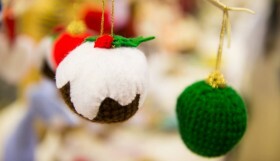 Published On December 1, 2015 | By We Love Brighton | Christmas and New Year's Eve 2015, Only in Brighton! 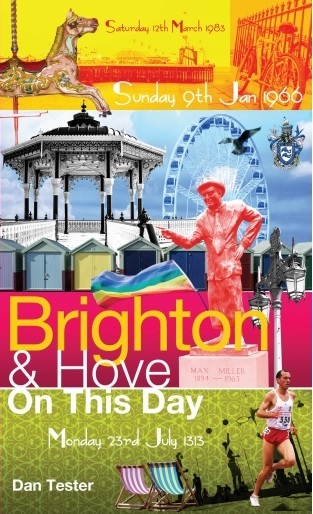 The perfect gift for anyone with a passion for the city, Brighton & Hove On This Day revisits all the most magical and memorable moments from the city’s pulsating history, mixing in a maelstrom of quirky anecdotes and legendary characters to produce an irresistibly dippable diary – with an entry for every day of the year. You can also get a signed copy! From Brighton’s first market in 1313 to 7,000 Brightonians feasting at the first unofficial Brighton Festival in 1817; from bear-baiting in Bear Road to digging the deepest hand-dug well in the world at Woodingdean – here are the people and events that have helped shape our marvellous cultural melting pot, long synonymous with creativity, music, hedonism, freedom and tolerance. 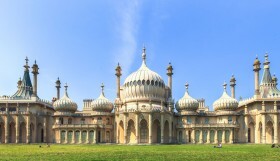 With rave reviews, read Brighton & Hove On This Day and you’ll discover a hundred nefarious, salacious, humorous, ridiculous, statistical, whimsical and historical things you never knew you needed to know about the nation’s favourite seaside resort. 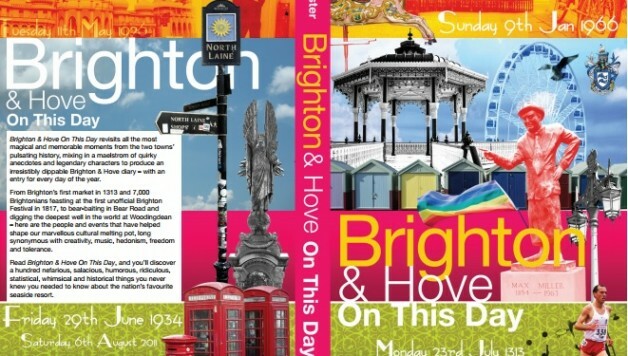 A perfect stocking filler, ‘Brighton & Hove On This Day’ can be purchased on Pitch Publishing, Waterstones and Amazon. We’re also proud to offer a special chance to pick up signed copies! To get yours, order through eBay here. A Brightonian, Dan Tester is also the author of Brighton & Hove Albion On This Day (I and II) and is Albion editor for the Brighton & Hove Independent weekly newspaper. Dan has spent the majority of his life in Brighton & Hove and has a great passion for the place. A copywriter for 15 years, music runs deep too and he puts on funk and soul nights across the city and co-presents the monthly Family Funktunes radio show. Some of the author’s favourite excerpts as a bonus for WLB readers! Brighton was officially unveiled as the coldest place in the entire universe! A sample of gas inside a glass cell in a corner of a physics laboratory at the University of Sussex had been cooled so that its temperature was only a few hundred billionths of a degree above so-called absolute zero, the coldest possible temperature. Very, very chilly indeed! The first Chief Constable of Brighton Borough Police, Henry Solomon, died from the head injuries he received after being bludgeoned with a poker while interviewing a prisoner. In 1836, six years after a police force was first established in Brighton – to replace the watchmen system – Solomon became its Chief Constable, a post he served for eight years. His office was in the Town Hall and one day, when he was interrogating young John Lawrence about his part in the theft of a roll of carpeting from a shop, the 23-year-old suspect attacked. He was left alone for a moment and seized the opportunity to grab a poker from the fireplace to strike Solomon on the head. Lawrence was arrested, convicted and then hanged at Lewes Prison. Queen Victoria donated £50 towards an appeal to raise funds for the welfare of Solomon’s widow and nine children. He is thought to be the only chief constable in the UK to have been murdered in his own police station and his ghost reputedly haunts the basement of the office buildings. In 1810 eight ‘watchmen’ were appointed to patrol the town at night with another 16 recruited by December 1815. In January 1821, the town was divided into eight watch districts, each with a box for the watchman. The watchmen were dressed in top hats, black tail-coats and white trousers, and were armed with batons and rattles. Brighton Council unanimously rejected the ‘Wilson report’, a town centre plan that proposed large-scale road construction in the Preston Circus area and a ‘spine road’ through the North Laine to a car park in Church Street. Both plans involved the demolition of over 500 houses, simply as an interim measure! More were proposed. Five conservation areas were designated that year with five more in 1977, most notably North Laine. 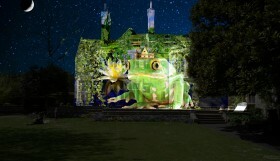 Imagine if the plan had got the green light? A sobering thought indeed. Eleanor Marx, sixth daughter of the revolutionary Karl, sent her maid to the local chemist for chloroform and a small quantity of prussic acid (hydrogen cyanide) – for ‘the dog’ – and ended her life, aged 43. A socialist like her father, she had discovered that her ailing partner, Edward Aveling, had secretly married a young actress. Aveling’s illness seemed to her to be terminal and she became deeply depressed by the faithlessness of the man she loved. On this fateful day, she wrote two brief suicide notes, undressed, got ino bed, and swallowed the poison. 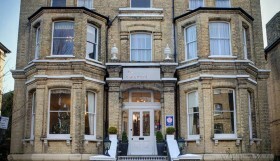 There’s a blue plaque, commemorating her residence, at 6 Vernon Terrace, Brighton. Extremist cleric Abu Hamza al-Masri – famous for his hook hand and incendiary speeches at the controversial Finsbury Park mosque in north London – was born in Alexandria, Egypt. The son of a middle-class army officer, who once allegedly proclaimed Britain as “a paradise, where you could do anything you wanted”, studied civil engineering at Brighton Polytechnic. The first London to Brighton bike ride. The low-key affair commenced from Speaker’s Corner in Hyde Park with just 60 riders. The original route headed east down to and along the Old Kent Road, on to Biggin Hill and Crowborough, before splitting into two groups: a few travelled via Underhill Lane and Ditchling Beacon, the others through to Lewes and the old Lewes Road, and on to the seafront at the Palace Pier – 95 miles in total! 37 finished. The bike run, as we know it today in support of the British Heart Foundation, had its first outing in 1980 and since then more than £40 million has been raised to help fund pioneering research and patient care.